We’ve all been there. You’re in the airport – maybe you’re making a purchase in duty free, heading to your gate, or simply checking for the umpteenth time that you have everything – and you can’t find your passport. There ensues a frenzied emptying of all suitcases, carry-ons, handbags and pouches before… you find it in your coat pocket. Or worse, hiding in the first place you looked - your voluminous handbag. Even the trip of your dreams can become a stress if you don’t have your essentials well organised! I am a big fan of downsizing when it comes to travelling. This doesn’t necessarily mean travelling ‘light’ (I will never know how people do that!) but it does mean travelling organised. The key to this is to keep those essential items separate, but close at hand with easy access. Once you know you can produce your passport or boarding pass at the drop of a hat, it’s amazing how much you relax! Lately the bum bag has made a real come-back and while the new designs are both fashionable and practical, it’s not to everyone’s tastes. I find a little travel organiser bag is ideal for carrying small essentials. Its light and simple design means you can throw it over your shoulder or across body and head out the door without a second thought. This Small Travel Bag hides a world of organisation behind its press-stud closure. 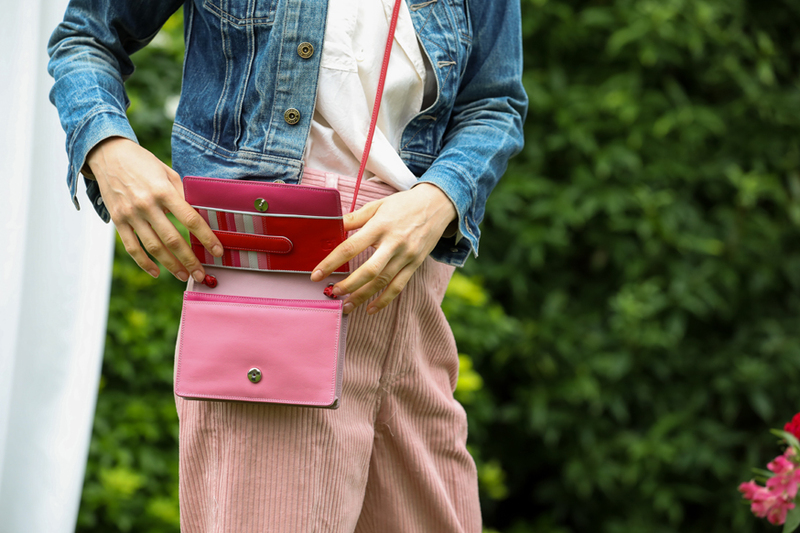 It will easily carry a passport, travel documents, cash and if you need to bring some cards along with you, it has a secure section for them as well! This style is great if you’re travelling with kids and also have their passports to carry (or maybe for a forgetful friend!). I even like to use this as an everyday bag for when I have errands or if I’m just running out to the local store. If you’re just getting away for the weekend and don’t need anything complicated, a passport cover really comes in handy. You can slip it in your pocket or bag (bonus tip: getting a bright colour makes it extra easy to find!) and take advantage of the slip pocket inside to store your boarding pass. 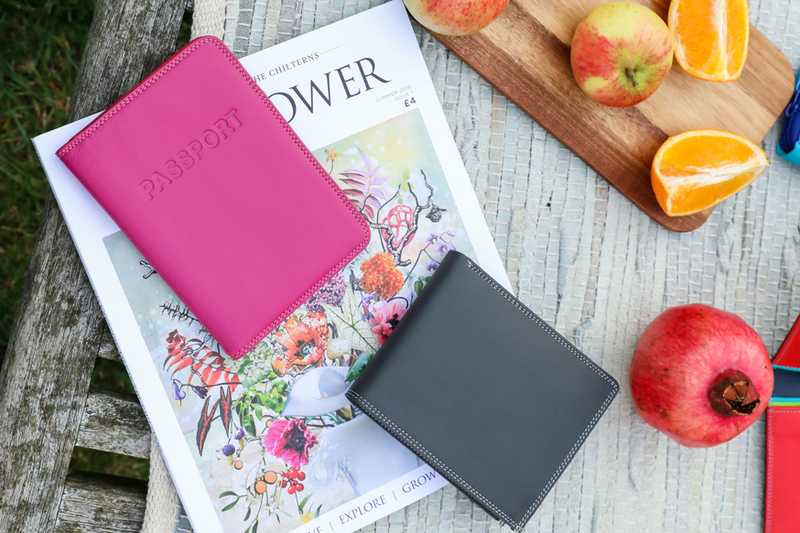 Simple, easy, and protects that oh-so-important passport! I cannot emphasise enough the advantage of a travel wallet. For longer journeys with layovers, or again if you’re travelling with a group of people and have been designated ‘Keeper of All Things Important’, it’ll let you jet-set like a pro. Multiple compartments keep different documents separate and there’s also space for cash, cards and coins. All of this is secured in a full-length zip closure. Sorted! There are many ways to eliminate the stress from travelling (your own private jet, for example) but I find the first and most essential step is storing your stuff in a smart way. 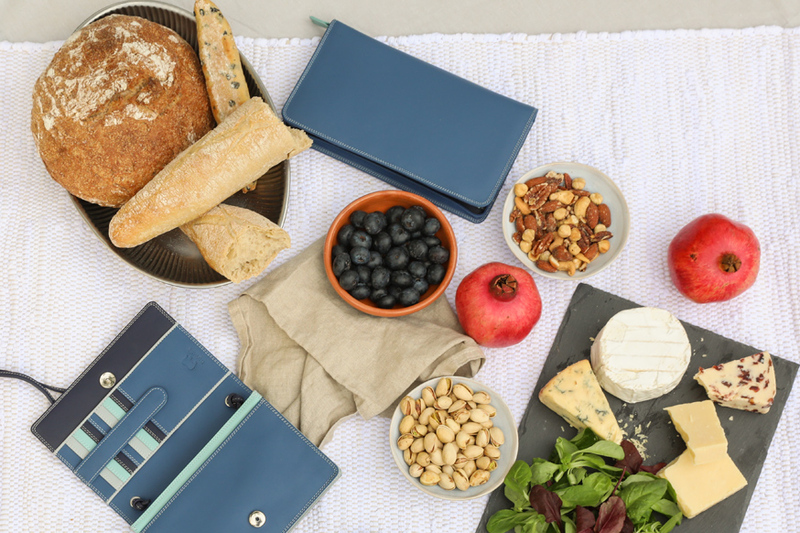 These items are just some of my favourites – you can browse our full Travel line here. Happy travels!